Despite the magnitude of avoidable premature deaths, newborn health is just getting on the policy agenda of many African and Asian countries. Several approaches have been suggested by experts, however, it is not clear how feasible and locally acceptable these approaches are, or which delivery strategies to use in the predominantly weak health systems such as those in Sub-Saharan Africa (SSA). A major barrier there is a dearth of data on newborn epidemiology especially in SSA. This coupled with a lack of a complete civil registration systems and information on causes of newborn deaths in many SSA and Asian countries makes tracking of interventions almost impossible or expensive through Demographic Health and other surveys. As we approach the 2015 deadline for the Millennium Development Goal target, availability of data on neonatal health has become a key global priority in low income countries, and the INDEPTH-Network can help to contribute to bridging this gap. 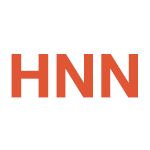 In 2010, a Newborn Working Group was formed within the INDEPTH Network of Demographic and Surveillance sites (HDSS) to address the dearth of data on newborn epidemiology and to contribute to the evidence base for newborn health. The goal of the INDEPTH newborn working group is to provide evidence, inform policy and set up or improve existing programs. Coordinated by the Iganga/Mayuge HDSS in Uganda, the INDEPTH Newborn Working Group seeks to identify a research agenda, participate in policy, provide a forum for advocacy and dissemination of available data on newborns, participate in capacity building activities and analyze existing quantitative and qualitative data. To date, 10 HDSS centers (9 African and 1 Asian) have joined the INDEPTH newborn working group (Iganga, Rakai, Kilifi, Kisumu, Kitampo, Dodowa, Navrongo, Ifakara, Matlab, and Manhica). A small grant was given to the group from the INDEPTH secretariat to support analysis of both individual and pooled HDSS data to describe newborn epidemiology including trends and causes of death (8 centres received funds to analyse data). 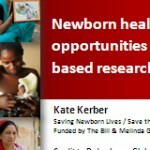 In addition, Saving Newborn Lives program of Save the Children has contributed funds to support meetings in 2010 and 2011. At the October 2011 meeting, participants from 9 HDSS centres shared preliminary data on newborns and stillbirths. 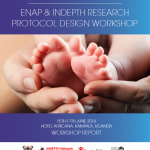 The review of these data highlighted the need for additional technical support for a formal analysis of newborn and stillbirth data and to develop standardized tools and approaches that can be applied across sites. Further, the meeting highlighted the opportunity to prepare peer-reviewed publications and to raise additional funds to support ongoing efforts of the INDEPTH newborn working group. INDEPTH Network is an international platform of sentinel demographic sites that provides health and demographic data and research to enable developing countries to set health priorities and policies based on longitudinal evidence. INDEPTH’s data and research will guide the cost effective use of tools, interventions and systems to ensure and monitor progress towards national goals. The goal of the INDEPTH newborn working group is to provide evidence, inform policy and set up or improve existing programs.